Of the nearly $3 trillion spent annually on healthcare, about $400 billion of that goes into managing revenue cycle related services. The current state of the healthcare environment is complex; increased risk, declining reimbursements, regulatory changes, claims processing and collections are just a few of the challenges EM departments face every day. The good news is that we can help you efficiently manage what others struggle with, presenting you with opportunities where others see challenges. 1. What does revenue cycle management cost? 2. How much does revenue cycle management collect? With DuvaSawko, your Emergency Medicine department gets a dedicated account manager to help address the above revenue cycle needs at all times. Expert analysis of your practice’s performance- your dedicated account manager will assess key performance indicators such as visit count, charges, payments, adjustments and RVUs to assure accuracy and accelerate collections. Identify business trends- we’ll guide you in making better business decisions that can save you valuable resources and have a significant impact on practice revenue. Ad-hoc reporting– customizable for your specific needs on an as-requested basis. Business growth strategies– a partner that views your practice from every angle and whose sole responsibility is to help it become more efficient and profitable. Personalized Service Approach– a representative who cares about your success and who you know by name. DuvaSawko’s team seems to really care about our success. We have been impressed with how many times they go the extra mile. Their business advice has saved us lots of money and time. Awareness of your practice’s financial health will help determine just how profitable your practice can be. 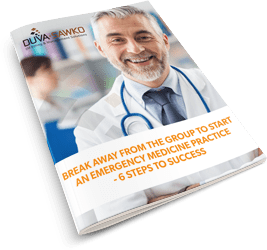 The team at DuvaSawko knows what it takes to be a successful Emergency Department practice. We have shown practices how to positively impact revenues by between 10 and 30% annually. Don’t leave any more money on the table. Talk to the team at DuvaSawko today and schedule your complimentary practice analysis.